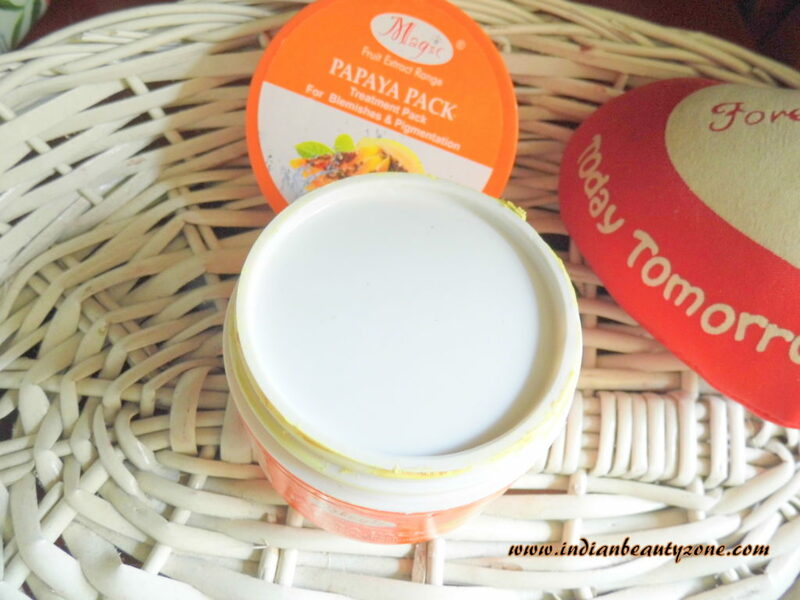 Papaya extract and enzyme based pack is suitable for dark, patchy and pigmented skin. It has the natural properties to improve the complexion of the skin and also remove the dead epithelial cells. It is ideal to be used on pigmented and blemished skin as it restores the freshness and glow of the dull skin. Fuller's earth 9.80%, Carica Papaya 5.25%, Azadirachata indica 4.50%, Mentha sativa 3.00%, Acacia arabia 7.50%, Bisulphate of zinc 4,50%, Curcuma longa 3.25%, Ricinus communis 9.70%, Honey wax 4.55%, Purified water q.s. It comes in an attractive orange tub with a screw open lid and inside a white lid placed between the screw open lid and the face pack inside the tub to prevent the spillage. It is travel friendly and I prefer tube packaging when It comes to keep things hygiene. 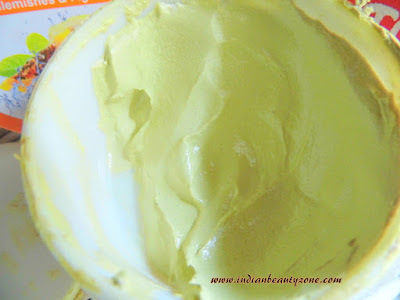 The texture of the face pack is thick and creamy but easy to spread on the skin. The face pack looks like fuller earth mixed with water. It got really mild smell and doesn't bother you after applying. I was really excited to use this face pack. I used this face pack weekly thrice initially and later I reduced it to weekly once. I use to wash my face and then apply this face pack. 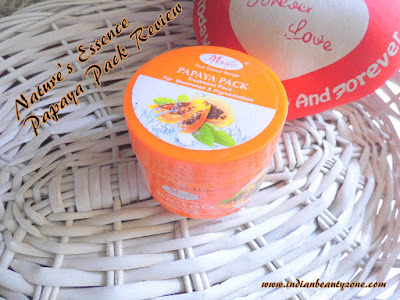 This face pack has got a thick creamy texture but it easily spreads on the skin well. The face pack takes 20 to 25 minutes to dry up completely on my oily skin. After drying completely it looks yellowish on the skin, but doesn't leave any colour tinge on the skin after washing. I noticed visible glow on my face after washing and also my skin looked clear and soft. It gave really relaxed and awesome feel after washing. After using it continuously my face looks bit clear and the texture got improved. But, I didn't see any improvement in my complexion. 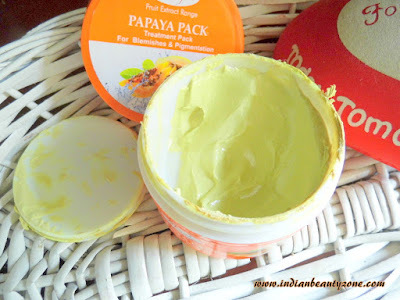 Over all it is a good face pack that helps you to get clear skin with glow. It didn't do anything with pigmentation, you can use it as a fruit face mask for getting clear skin with glow. It didn't dry out my skin and didn't cause any breakout or allergy. For the price it is a food fruit face pack to use regularly. Gives clear skin with glow after every use. Keeps skin soft and supple after washing. It has no effect on pigmentation. It takes time o dry off completely. Nature's Essence Papaya Pack for Blemishes and Pigmentation is a good fruit face pack at an affordable price tag that everybody can buy and use it. It gives you clear skin with glow after every use that helps to get rid of your regular dead cells and you can use it as exfoliating face mask.